De Acer Aspire One A150 is zeker niet perfect, maar als je de relatief lage prijs in ogenschouw neemt is het een erg leuk, compleet en bruikbaar laptopje dat doet wat het moet doen. In Nederland kost de geteste uitvoering met Windows XP bij de meeste winkels 399 euro. De prestaties zijn prima, maar daar staat tegenover dat de batterij vrij snel leeg is en je grote kans hebt op een scherm dat licht flikkert bij de lagere helderheidsinstellingen. When Acer created the original Acer Aspire One, it came up with a bestseller that was helped along by the fashionable styling, attractive low price and good overall build and performance. Acer has played it safe with the 10in Acer Aspire One D150, but this may be no bad thing. However, it also means there’s little to differentiate this netbook from the MSI Wind, Asus Eee PCs and the Samsung NC10, all of which have already made names for themselves as great mini laptops. The age of netbooks has started with models that had 7 inch displays. Very soon all of us noticed that this is not enough, so models with 8, 9 and 10 inch displays became netbook mainstream models. Acer postponed presentation of its 10 inch model for a long time but it seems that they have made a right decision because this will be, probably, the year of transition to 10 inch models. As a reminder, we will tell you that ASUS has announced discontinuance of its 8 and 9 inch display Eee PC models. 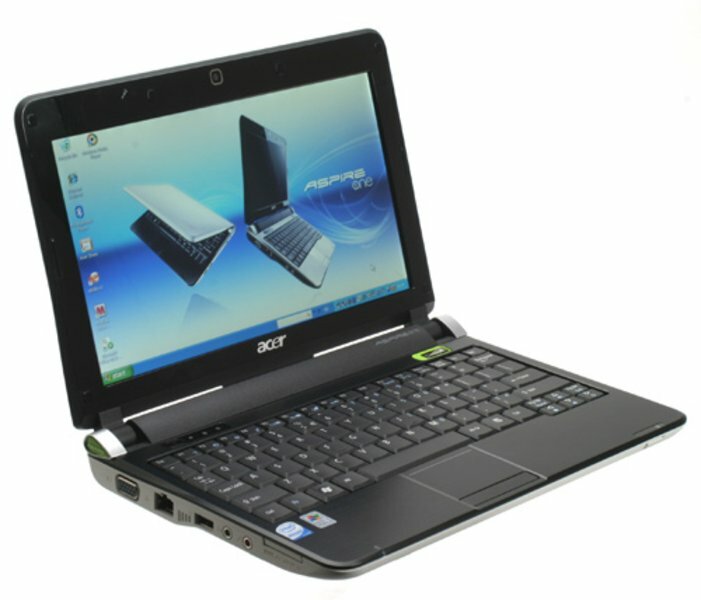 Finally, in our test lab has appeared Acer Aspire One D150: new Acer’s trump card in the netbook deck. As expected, Acer Aspire One D150 has very attractive price tag and thanks to good build quality and characteristics, this is one of the best netbooks on the market that can be purchased at this moment. 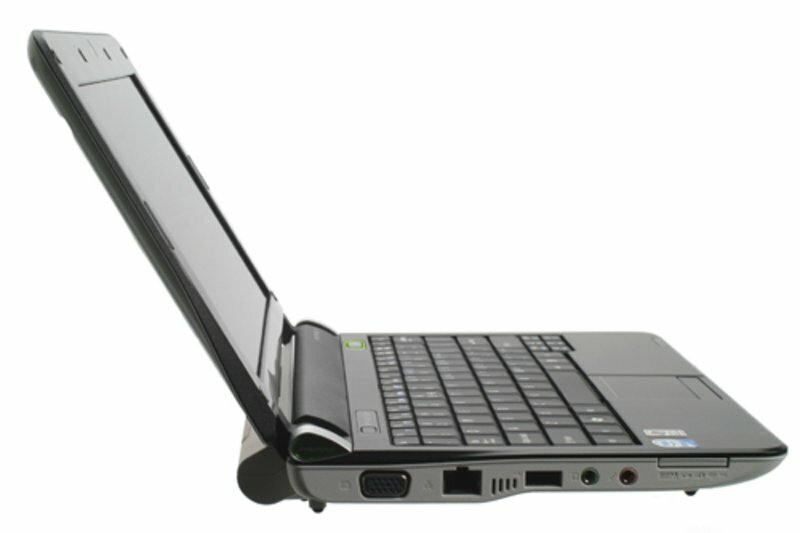 These are enough reasons why this netbook should be on top of your list when choosing what netbook you should purchase. Going by all the usual industry metrics Acer sells more netbooks than anyone else. This is a big deal given the size of the market and growth expectations, but despite its dominance it hasn't until now had a 10in netbook even though the market has been moving in this direction. This is partly testament to the quality of its first outing, the Aspire One, which sported an excellent keyboard for the form factor and very attractive pricing, but also the power of Acer's distribution system. When you're flogging the things in Tesco at £180 a pop you're bound to rack up a few sales, even if the people buying it have no idea what's in the box! Acer's decision to move into the 10in netbook sector makes perfect sense, but its execution doesn't. Despite the larger chassis it has chosen not to improve the keyboard and though the price and spec are in line with expectations, the D150's design and ergonomics don't compare well to the competition. In a market where very little separates one product from another, these are significant failings. The latest version of Acer's Aspire One mini laptop brings a larger 10.1in screen and the option to fit 2GB memory - double that typical with other so-called "netbook" systems. Combined with good build quality, these attributes mark out the new Aspire as one of the better models of this type now on the market. Acer's Aspire One provides a capable Windows PC in a highly portable package, and the 10.1in screen is a reasonable compromise between the tiny screens of some netbooks and those of full-size laptops. With the optional battery, the Aspire should be able to last for about five hours use, which is useful for mobile workers, although pushing up the weight somewhat. The new Acer Aspire One has some strong points, but even better netbooks are on the market now, and more are on the way. If you want in on the battery lottery for the long-life battery, then go for it, but even the included battery will give you solid day-long performance, That said, I'd still recommend that you take a peek at what Asus offers with the Eee PC 1000HE. I'm digging that netbook a whole lot more and it only costs a few dollars more. First thing I noticed is that it recognized all the hardware right away. I ran windows update and received all the updates and this PC is amazingly stable. The Aero interface runs flawlessly, with all the effects. Some stuttering but only noticeable by picky users like me. Windows 7 looks beautiful on this machine and really compliments the high quality LCD included with Acer. Even the slide show wallpaper feature runs nice. The wallpapers transition every 5 minutes and do so very smoothly even with full CPU load! Despite taking a huge chunk of the growing netbook market, the popular Acer Aspire One has a 9-inch screen, rather than the 10-inch type we prefer. At long last, Acer now has a 10-inch model, the Aspire One D150. The budget Acer Aspire One D150 is a decent performer that gives more expensive rivals a run for their money. Some design trade-offs have been made to achieve its relatively low price, but we expect the D150 to further cement Acer's leading netbook market share. 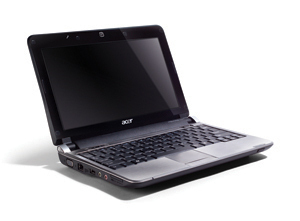 The Acer Aspire One D150 is essentially a redesigned that shares many of the features of the original Aspire One 8.9-inch units but with a larger 10.1-inch screen and a six cell battery. With its low price tag, this is easily one of the most affordable 10-inch netbooks that can run for over five hours on the battery. Users will have to put up with a few annoyances such as a smaller than average keyboard and potentially getting a lower amperage rated battery than what Acer claims. We love it when a company sees fit to shake things up a little and cook up some crazy new design. The Acer Aspire One AOD150 is not that netbook. In fact, many of the changes made from the original Acer Aspire One make the Acer Aspire One AOD150 seem more like everything else on the market. And that isn't necessarily a good thing. Seem a little harsh? Let's put this in perspective: the original, 8.9in screen model packed a huge keyboard onto a fairly tiny frame. That keyboard was practically dripping over the sides and we were genuinely impressed for the effort. The Acer Aspire One AOD150 has some strong points, but even better netbooks are on the market now, and more are on the way. Despite owning a huge chunk of the growing Netbook market, the popular Acer Aspire One has been saddled with a 9-inch screen, rather than the bigger 10-inch type we prefer. At long last, Acer now has a 10-inch model, the Aspire One AOD150. Even better, it's keeping the starting price at $349, which is about $50-$100 cheaper than similarly configured systems from other PC makers. The Aspire One series has been neither the best nor the worst Netbook out there, and Acer's market share to date has largely been based on its lower retail-price strategy. With the basic Intel Atom/1GB RAM/XP setup, you'll get a similar experience to using a Netbook such as the HP Mini 1000 or Lenovo S10, but there are a handful of trade-offs for the AOD150's price. By late last year, the Acer Aspire One had beat out ASUS's combined offerings to become the top-selling netbook—or so market research firm DisplaySearch concluded. The One's primacy has been confirmed by Amazon.com—which ranked it as its best seller over the Christmas holiday—as well as other sites that monitor laptop sales. The One reached this pinnacle despite a smaller-than-average (8.9-inch) screen and a pair of awkwardly placed mouse buttons, because it was (and still is) the most aggressively priced netbook around. The Acer Aspire One (10-inch) ($350 street) is the long-overdue update, and as its name implies, the screen size has finally caught up with its 10-inch peers. 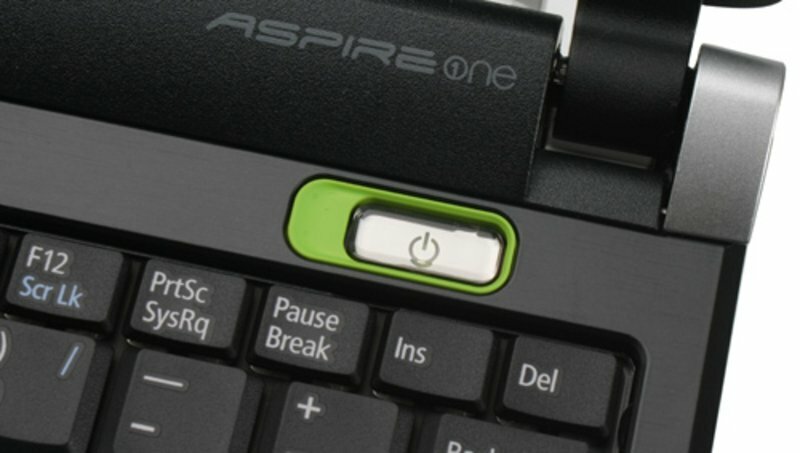 Acer proves that it's still the master of the netbook recession special with the new and improved Aspire One (10-inch). Acer's top-selling netbook gets even better with a 10-inch display and six-cell battery for just $349. For $349, the 10.1-inch Aspire One AOD150 is an excellent value. It offers a slim and stylish design, good performance, and at least 4.5 hours of endurance on a charge—assuming the 4,400-mAh battery lasts as long as we expect. 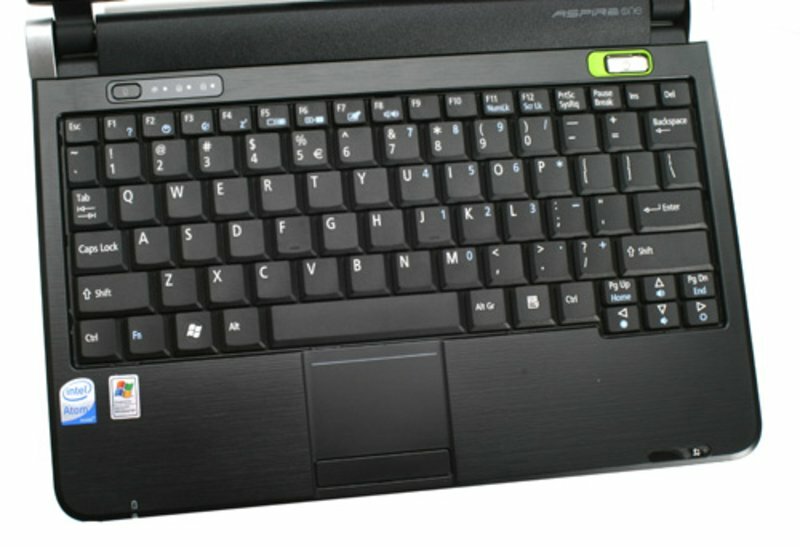 While the similarly configured ASUS Eee PC 1000HE ($399) and Samsung NC10 ($449) have better keyboards and touchpads and last longer on a charge, the Aspire One beats those machines on price. And in the netbook arena, bang for your buck is the name of the game. Coming in at $50 to $150 less than most other 10-inch netbooks, the new Acer Aspire One AOD150 is likely to attract the attention of bargain hunters. Unfortunately, its unoriginal feature set means that price is the main thing that makes it stand out from the crowd. Acer's 10.1-inch revision of the Aspire One is decently priced, but it keeps the cramped keyboard of the original. 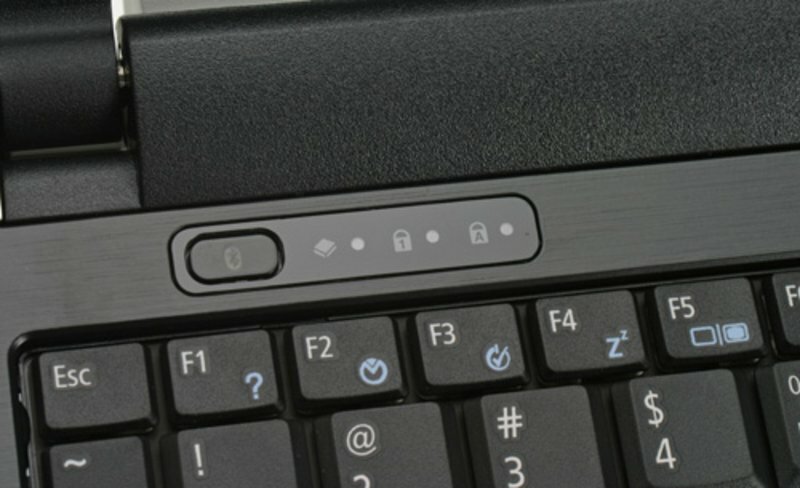 De Acer Aspire One A150 is zeker niet perfect, maar als je de relatief lage prijs in ogenschouw neemt is het een erg leuk, compleet en bruikbaar laptopje dat doet wat het moet doen. In Nederland kost de geteste uitvoering met Windows XP bij de meeste winkels 399 euro. De prestaties zijn prima, maar daar staat tegenover dat de batterij vrij snel leeg is en je grote kans hebt op een scherm dat licht flikkert bij de lagere helderheidsinstellingen. Het beeldscherm is wel van zeer goede kwaliteit (scherp en helder). Het toetsenbord is relatief comfortabel en het algehele design en de kwaliteit van de behuizing mag er zijn. Je moet wel tegen vingerafdrukken kunnen. Jammer dat Acer is vergeten Bluetooth toe te voegen. 78.74%: This rating is not convincing. The laptop is evaluated below average, this is not really a recommendation for purchase.